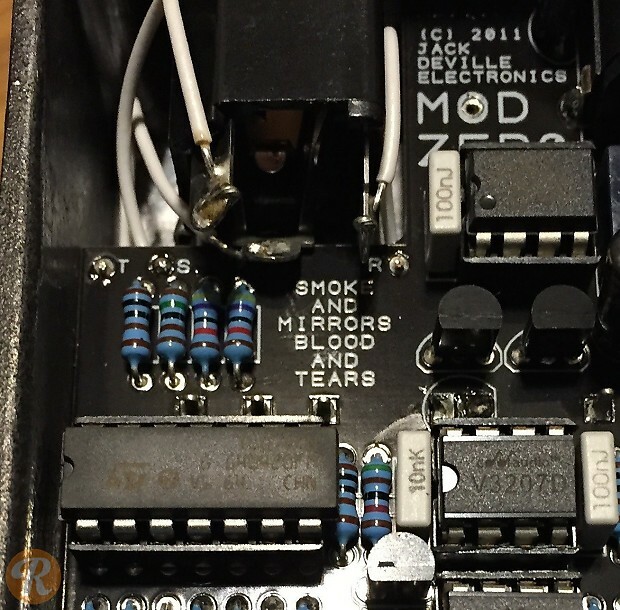 Though the Mod Zero is considered first and foremost a flanger, this pedal also provides fully-analog chorus, vibrato, and Leslie effects. At only 250 made, it is considered quite rare. 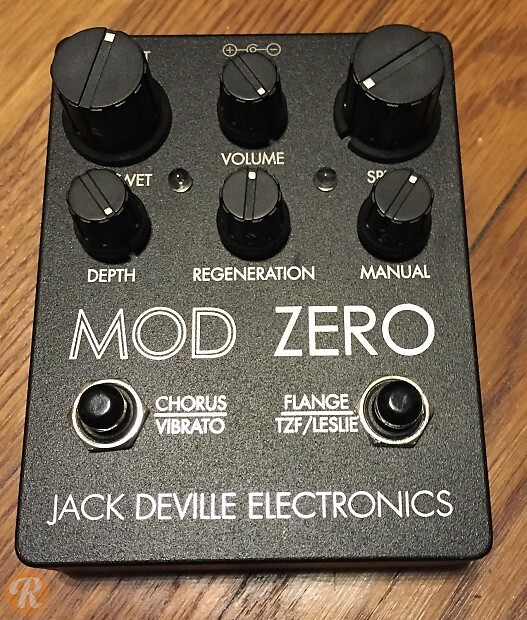 With footswitches for Chorus/Vibrato and Flange/Leslie, as well as six knobs such as Regeneration, Depth, and Dry/Wet, the Mod Zero can make a wide variety of modulation effects.